The Mercedes Benz GLS Grand Edition is available in both petrol and diesel guises. It comes with several visual and feature update to differentiate it from the standard GLS SUV. 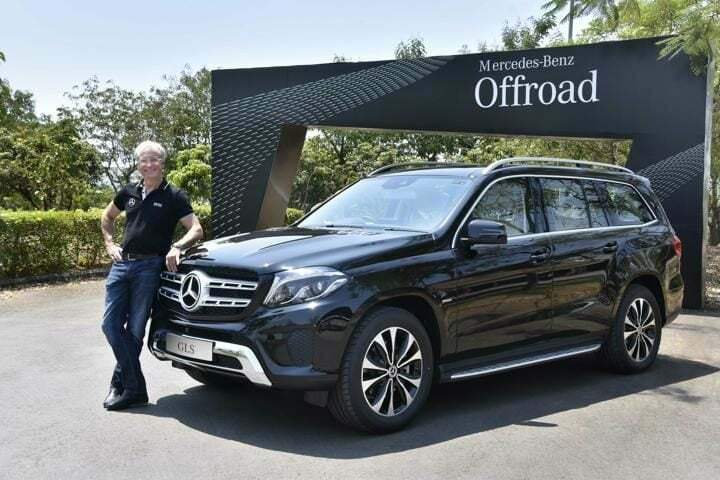 Mercedes Benz India has today launched the Grand Edition of the GLS SUV in India. The Grand Edition is available on both the petrol and the diesel derivatives of this luxury SUV. The Mercedes Benz GLS is termed as the ‘S-Class of SUVs’ by the automaker. Consequently, it matches with Mercedes’s flagship luxury sedan, the S-Class in terms of its premium attributes. The Grand Editions of the GLS comes with a number of visual as well as feature updates. These distinguish the special editions from the standard versions of the SUV. Interestingly, the prices of the GLS 350d Grand Edition and the GLS 400 Grand Edition are the same. Both are going to retail at INR 86.90 lakh (ex-showroom, India). The Mercedes Benz GLS Grand Edition comes with intelligent LED Light System with unique black rings. According to Mercedes, this feature offers more visibility in most situations. These headlamps automatically adapt to driving and weather conditions. The car automatically activates the dipped beam when it crosses 90 km/h. Furthermore, the GLS Grand Edition comes with 20-inch, 10-spoke alloy wheels which are coloured in black and high sheen finish. In addition to this, this special edition comes with ‘Grand Edition’ badging on the exterior of the car. Also, the SUV gets chrome fins on the bonnet to further differentiate it from the standard version of the vehicle. The interiors of the Mercedes Benz GLS Grand Edition remain identical to the standard version. However, there are certain visual modifications. For instance, the SUV now comes with a 3-spoke multifunctional Nappa leather steering wheel. In addition to this, it offers pedal shifters, 12 functional keys and an airbag cover in Nappa leather. Furthermore, the instrument panel is redesigned while comes with semi-integrated colour media display. While the instruments come with modified details. Also Read: 2018 Mercedes A-Class Interiors Revealed- Better Than The S-Class? The GLS Grand Edition comes with ‘rear-seat entertainment system’ in the form of two 7-inch high definition screens. They offer cellphone connectivity through Apple Car Play and Android Auto. As mentioned before, the GLS Grand Edition comes in both petrol and diesel derivatives. The petrol derivative, GLS 400, comes with a V6 engine. This motor churns out 328 BHP along with 480 Nm of peak torque. While the diesel derivative gets a V6 oil-burner. This engine is capable of producing 254 BHP along with 620 Nm of peak torque. Both the derivatives come as standard with a 9G-Tronic automatic transmission.